Launched in 2010, the Hawkesbury District Independent Magazine has truly become the go to magazine for local stories of inspiring people, places and events. Filled to the brim with content that reflects the heart and soul of the Hawkesbury, our focus is on creating community through celebrating positivity. Long term clients and businesses have benefited from advertising and providing fantastic solution-oriented content for our readers. 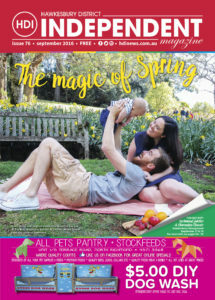 With 23,000 issues distributed across the Hawkesbury every month, it’s no wonder it is one of the most popular publications in the area. 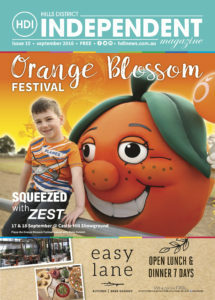 The Hills District Independent Magazine was launched in July 2015 after the success of sister magazine, the Hawkesbury District Independent Magazine. The publication can be best described as a warm hug from a friend! Content focuses on positivity and community. We figure life is too short for bad news! The Hills Independent has a strong focus on local businesses, providing a platform for organisations of all sizes, services and locations to speak directly to current and potential customers. 15,000 copies of the Hills Independent is distributed from over 80 locations – local cafes, shopping centres, venues, stores – every month. Our digital edition is also available online. I like the fact that the Hawkesbury Independent is privately owned and not the product of a large publishing house that has their head office miles from its intended audience. Its locally owned and run and I love that.